1 mame | This Blog Rules | Why go elsewhere? Some young artists came up with the idea to capture many frames from popular Youtube videos and draw them on handmade paper with color pencils. 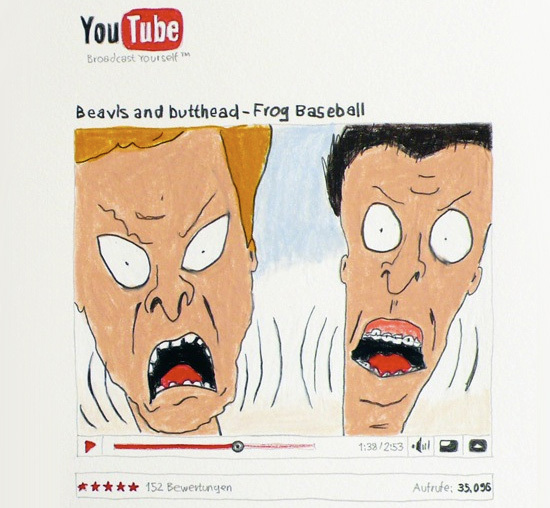 Each drawing is like a frozen Youtube frame with video title, user ratings and number of views.